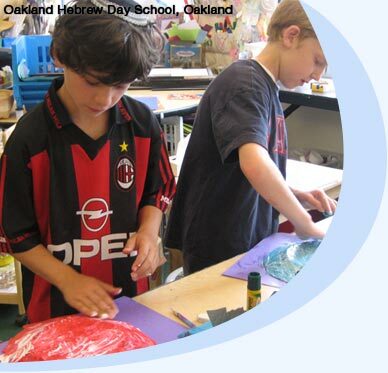 St. Michael's Episcopal Day School is a fully-accredited independent school located in Carmichael, California. St. Michael's is one of Northern California's premiere independent schools, serving students of all ages from all over the Sacramento area since 1963. Our mission is to teach traditional academic skills in the context of a caring community dedicated to helping each child develop his/her intellectual, social, athletic, and spiritual capabilities. The school is part of an ancient and venerable English and American tradition of independent church-related Episcopal schools, notable for their high academic standards, their dedication to humane values, and their service to society. The School Community The faculty is a group of qualified, experienced and dedicated women and men who enjoy teaching. They are professionals who share an enthusiastic commitment to challenge young minds. The faculty, parents, and students come together to form a small, caring community in which all support and share in each other's growth. Our community spirit is fostered by a number of activities: field trips, special school events and programs, athletic competitions with other schools, chapel and community service. Class size varies but normally does not exceed the mid-twenties in Kindergarten through Fourth Grade, and twenty eight in Fifth through Eighth Grade. Our 3-day Preschool and 5-day Pre-Kindergarten programs enrolls a total of forty students who range in age from three to five. Educational Standards St. Michael’s Episcopal Day School uses the content standards adopted by the state of California in all subject areas as the baseline for our curriculum. Teachers work closely with students so that they are able to provide a differentiated curriculum suited to each student’s learning style and ability level. Standards, whether Common Core State Standards or other state standards, are only the ground floor of this curriculum. As an Independent School, St. Michael’s strives to go above and beyond standards with significant supplementation, in order to effectively teach critical thinking, creativity, collaboration, analysis, and other 21st century skills, with the goal of providing the highest level of readiness for our graduates.